"Adam Lanza has spoken from the grave." That's the first line of Thursday's lead story from New York tabloid Daily News. The story claims that Sandy Hook shooter Adam Lanza dialed an Oregon radio station in late 2011 and complained to the host, John Zerzan, that the press was unfairly condemning a violent chimpanzee. The leaked tape, which sources have barely confirmed as the voice of Lanza, is the latest greedy tidbit of information about the Newtown murderer, about whom the world still knows almost nothing. Here's the problem: It's not news. It doesn't matter. 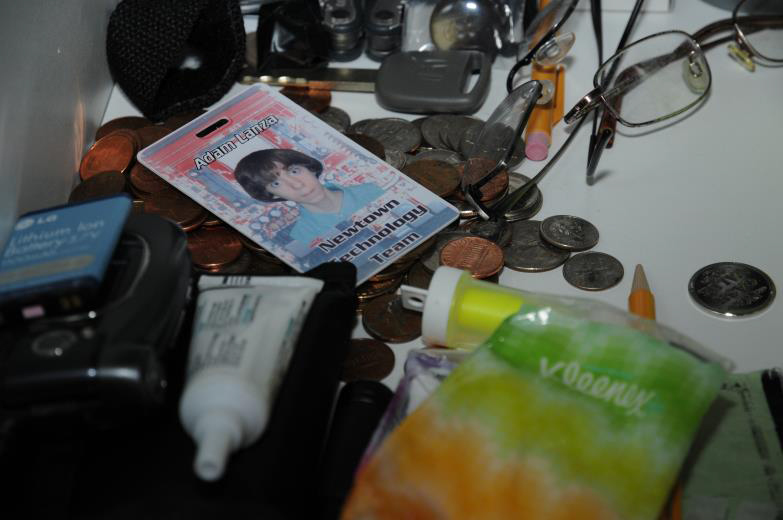 No, Adam Lanza has not spoken from the grave. If the person ranting about a chimpanzee on the radio was in fact Lanza, that doesn't shed any significant light on the case. Nor does it offer any new information about the murderer of 26 people — 20 of them small children — who committed suicide shortly after the massacre on Dec. 14. If Lanza was "obsessed" with Travis the chimpanzee's case, as USA Today puts it, it's only significant because it suggests Lanza could have been mentally ill. But we already have more definitive evidence that Lanza was mentally ill: He murdered more than two dozen people in an elementary school, for no apparent reason. Law enforcement officials said that they were aware the radio call may have happened. But if that's true, it just goes to illustrate that the police didn't think it was important enough to put in the final Newtown report. Which should have been a red flag for the Daily News. Except, it wasn't. So why is it news that Lanza called up a radio host and ranted for seven minutes about the plight of a chimpanzee? Because the world is hungry for information about Lanza. Which is understandable: we want to understand the workings of someone like Lanza so that we can prevent a tragedy like Sandy Hook from happening again. It makes sense that everybody remains curious about the one question that has never been answered: Why did he do it? The official report, released in December even after protests from the town of Newtown, couldn't come up with any answers. "The obvious question that remains is: 'Why did the shooter murder twenty-seven people, including twenty children?'" read the report. "Unfortunately, that question may never be answered conclusively." So there we have it. We may never know why; we can only know that it happened. The right thing to do, now that we've failed to find answers, is to bury our remaining questions about Lanza, out of respect for the families who lost children, sisters, daughters. And yet, just a year on, we're talking about Lanza becoming obsessed with a dead chimpanzee, and listening to audio of the to-be murderer talk about how we're being too hard on the animal. We're also still talking about the fact that Lanza was interested in the Norwegian mass-murderer Anders Behring Breivik and the 1999 Columbine killings — though those are hardly game-changing facts about a boy who went on to plan and commit mass murder. Not to mention, the reporting on the Daily News' story is so poor that it's painfully clear the story has purely sensational value and not much else. Two of Lanza's classmates said that they thought the recording was probably Lanza, even though by all accounts Lanza hardly spoke in school. Law enforcement officials agreed that they were aware the radio call may have happened. But if that's true, it just goes to illustrate that the police didn't think it was important enough to put in the final Newtown report. Which should have been a red flag for the Daily News. Except, it wasn't. So we're told, once again, that there's important new information about the Sandy Hook murders when there isn't. There will never be any information that changes what happened at Newtown. And there will most likely never be any more information about Lanza that the public needs to know. So let's just stop.